Be ready for pure excitement with our 2019 Honda Accord EX Sedan shown in Obsidian Blue Pearl! Powered by a 1.5 Liter 4 Cylinder that offers 185hp while paired with a seamless CVT. The Front Wheel Drive makes for a perfect companion for road trips of all sizes and you will see great gas mileage on the open road. With the distinct wheels and stunning front grille, it will turn heads everywhere you go! 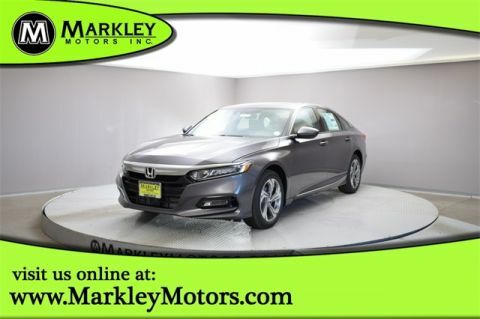 Not only is our Honda Accord an exceptional blend of performance, efficiency, and amenities, it also enjoys a sterling reputation for safety with the all-new Honda Sensing which comes standard in all models and includes advanced safety features such as a collision mitigation braking system, backup camera, road departure, lane assist, and even traffic sign recognition. 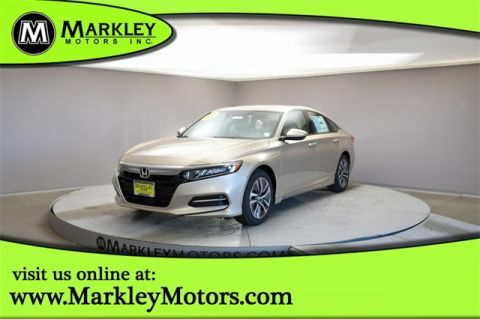 This sedan is a smart choice all-around! Print this page and call us Now... We Know You Will Enjoy Your Test Drive Towards Ownership! We Value You As A Customer And Look Forward To Showing You What The MARKLEY DIFFERENCE Is All About. We've Been In Business For 82 Years For A Reason! Call Us Now At MARKLEY MOTORS At 1-970-226-2213.